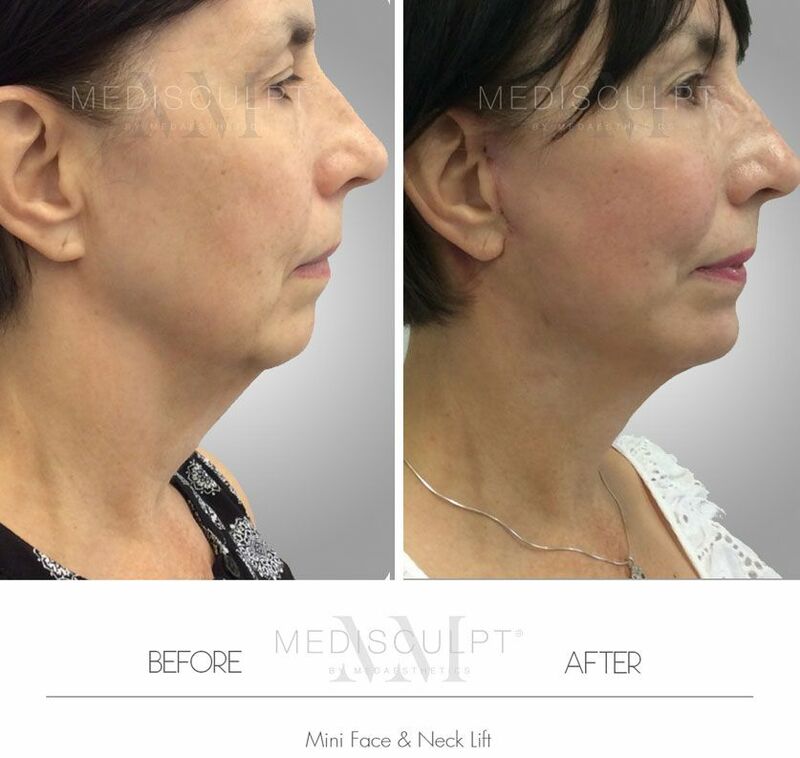 Mini Face Lift is the most popular procedure here at Medisculpt. The natural ageing process, sun damage, gravity, and facial volume loss are the key factors which cause our facial tissues to sag. 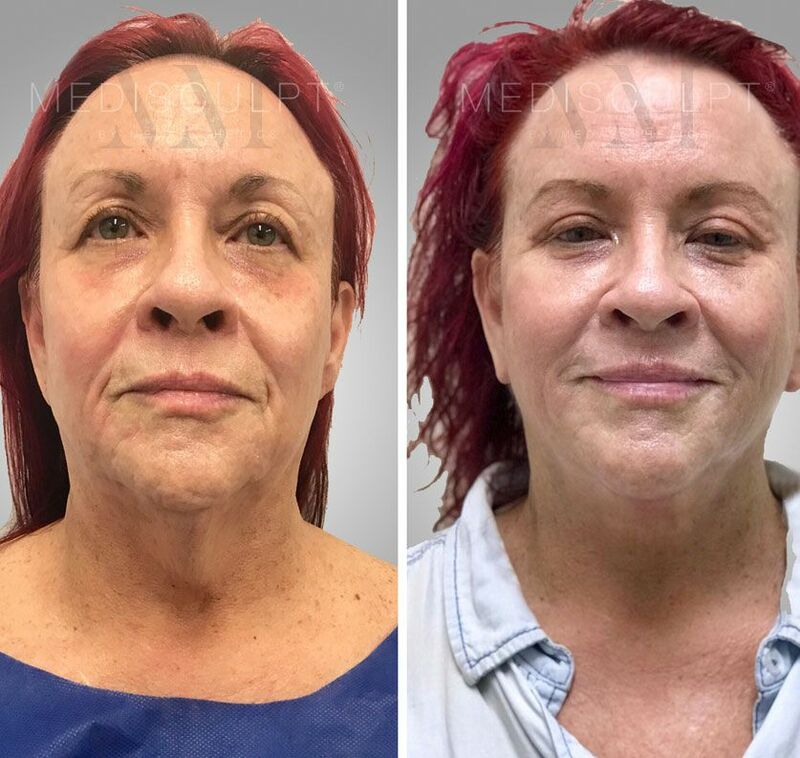 As such, the Surgical Face Lift (Rhytidectomy) is a cosmetic procedure designed to lift sagging facial tissue and restore your youthful contours to give you a look that is more consistent with how you feel. Our doctors have successfully performed countless Mini Face Lift surgeries and are renowned for achieving natural-looking results with high patient satisfaction. If you are thinking about going overseas for your cosmetic surgery because you cannot afford it here in Australia, please come and see us before you make any decisions. To provide you with peace of mind, we offer a 15-minute complimentary (free) appointment with our Cosmetic Surgery Consultant to discuss your best options. 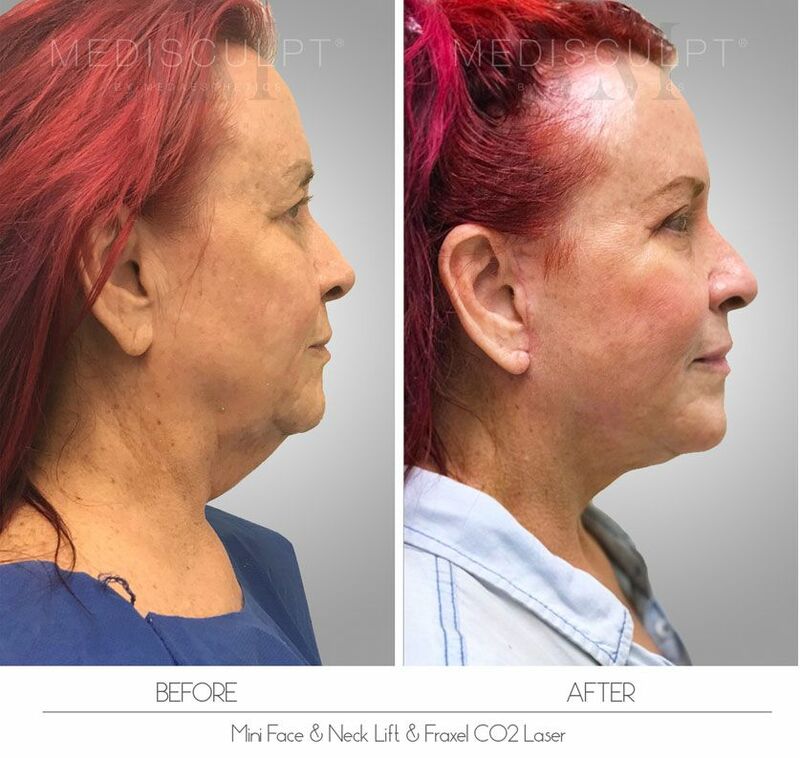 What is the difference between the Mini Facelift and other types of facelift surgeries such as MACS Lift, S-Lift, Weekend Lift, Lifestyle Lift and Feather Lift? In essence, these are all the various names of the same procedure with subtle variations in technique. Am I an ideal candidate for this procedure? 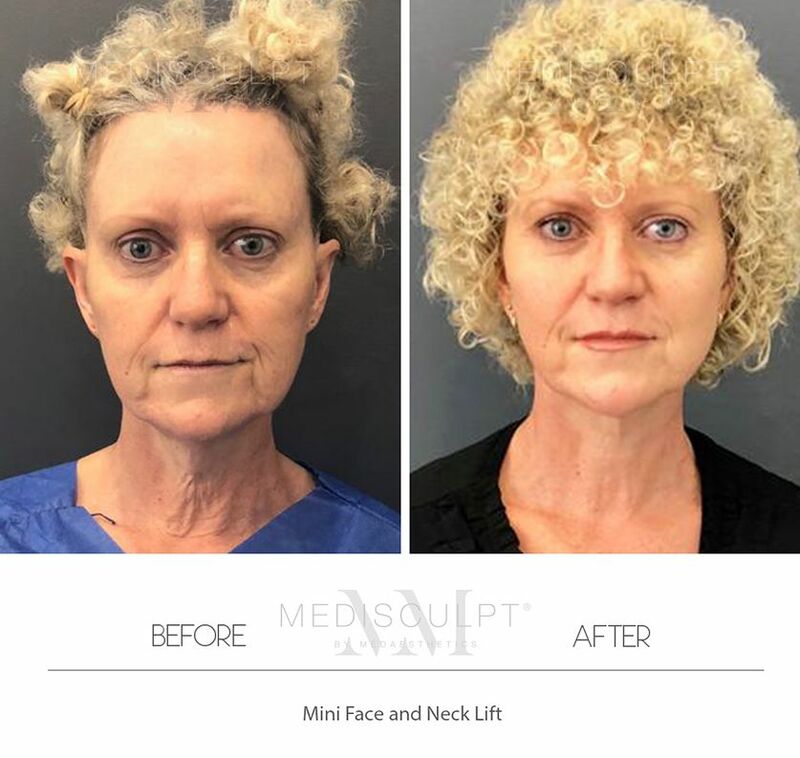 Generally, the Mini Facelift is the treatment of choice for anyone contemplating a noticeable facial rejuvenation procedure with visibly significant and longer lasting results. 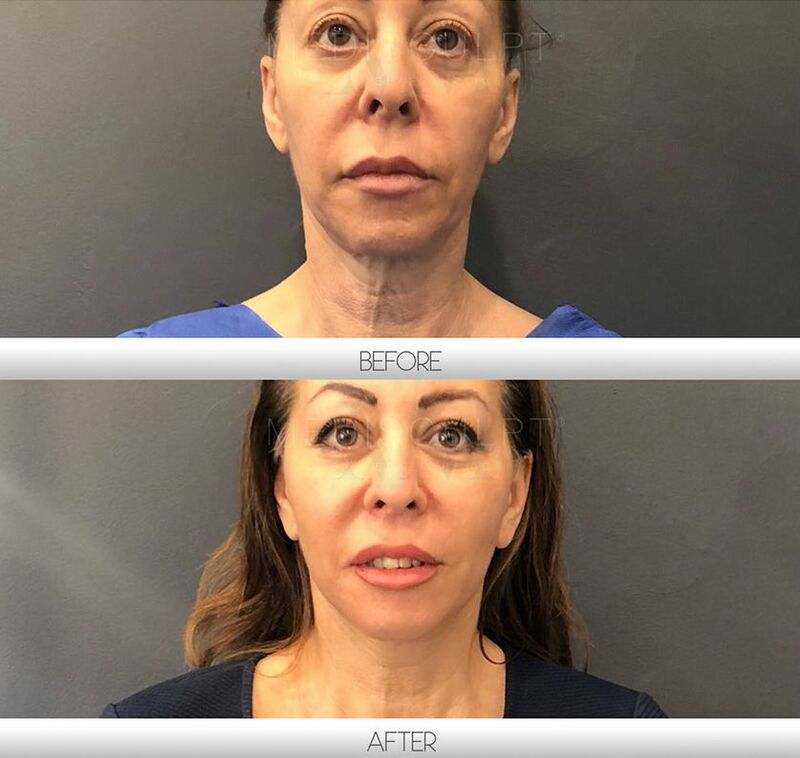 The procedure is designed for patients who have started to notice jowls and sagging of the face and neck and as such, seek a solution more substantial than dermal fillers, non-surgical skin tightening and thread lift techniques. 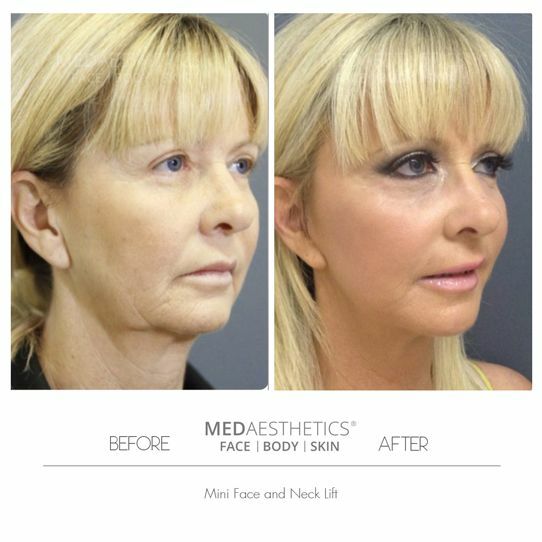 Unless desired, these patients do not need a more extensive Full Face Lift, which requires General Anesthesia. 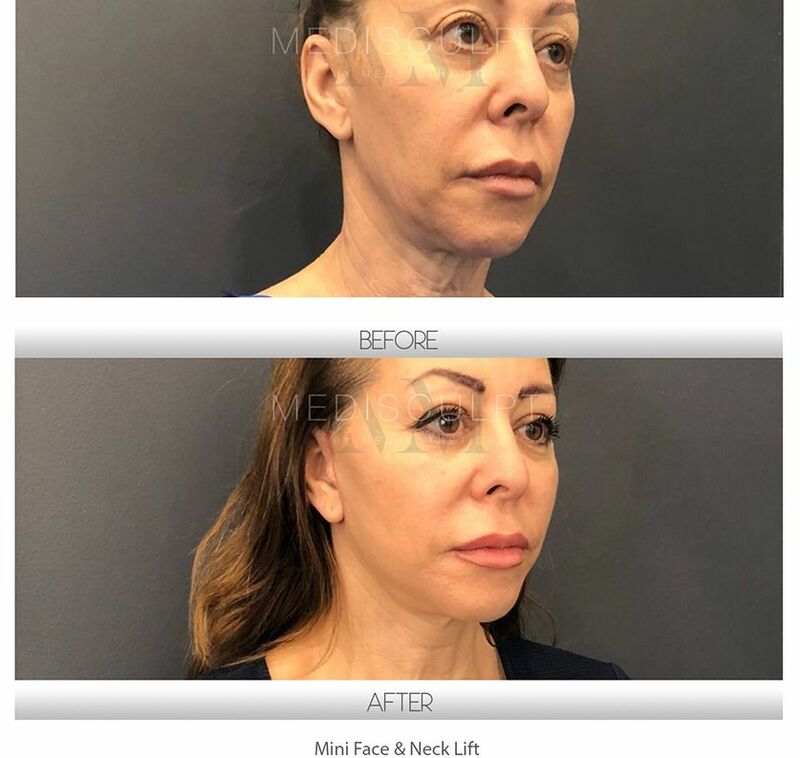 How is the Mini Facelift different from a Full Facelift? 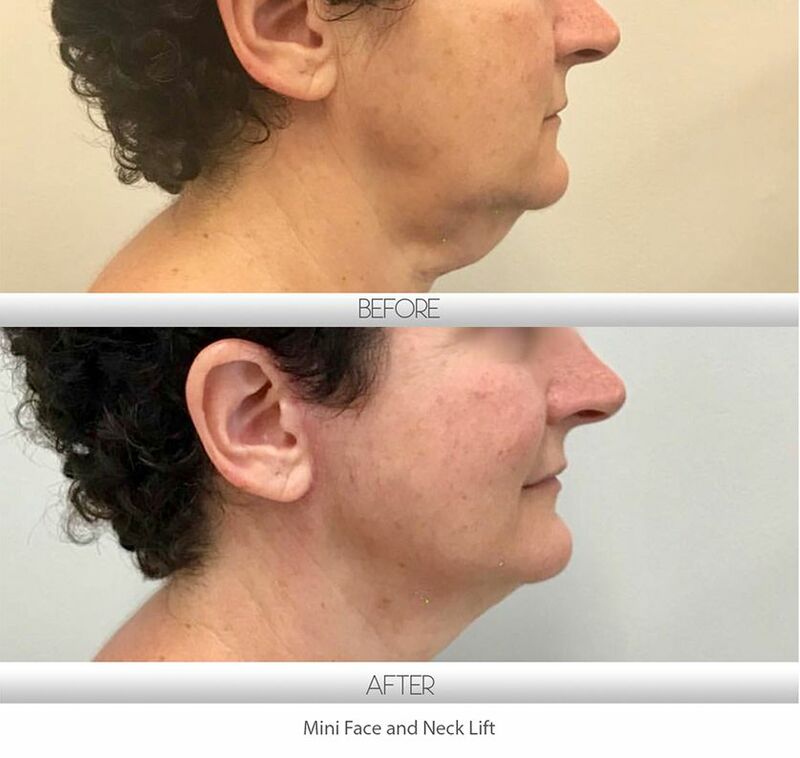 The Mini Facelift is a minimally invasive procedure which involves less undermining of the skin than the traditional facelift and less exposure of the deep Facial Nerve and Facial Artery branches (Deep Plane Face Lift). 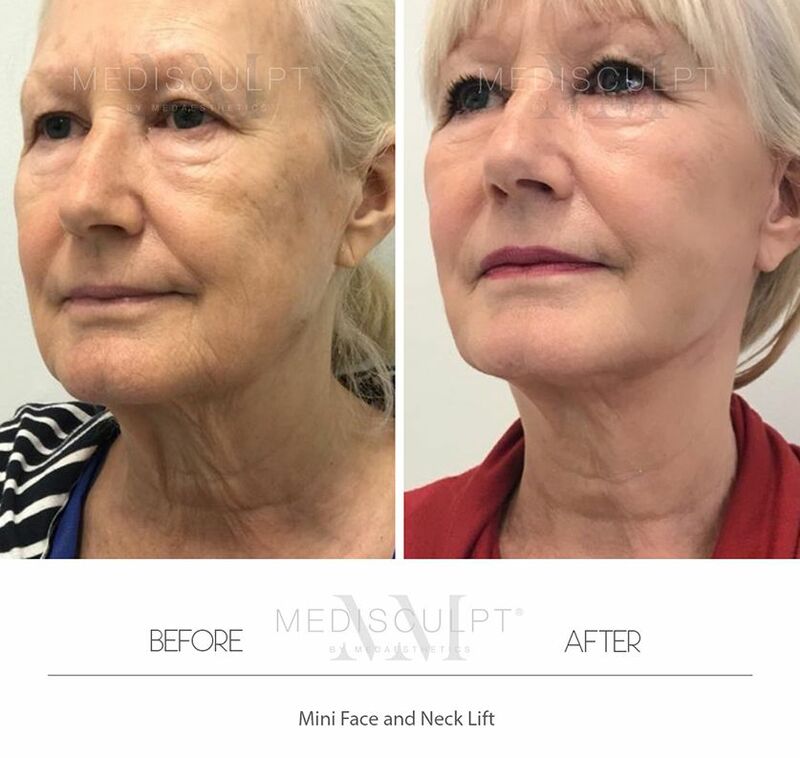 Short incisions characterise the procedure with limited skin undermining and suture suspension of the deeper tissue (SMAS) of the face — which lies under the facial skin and envelops deep facial structures such as muscles, arteries, nerves and ligaments. 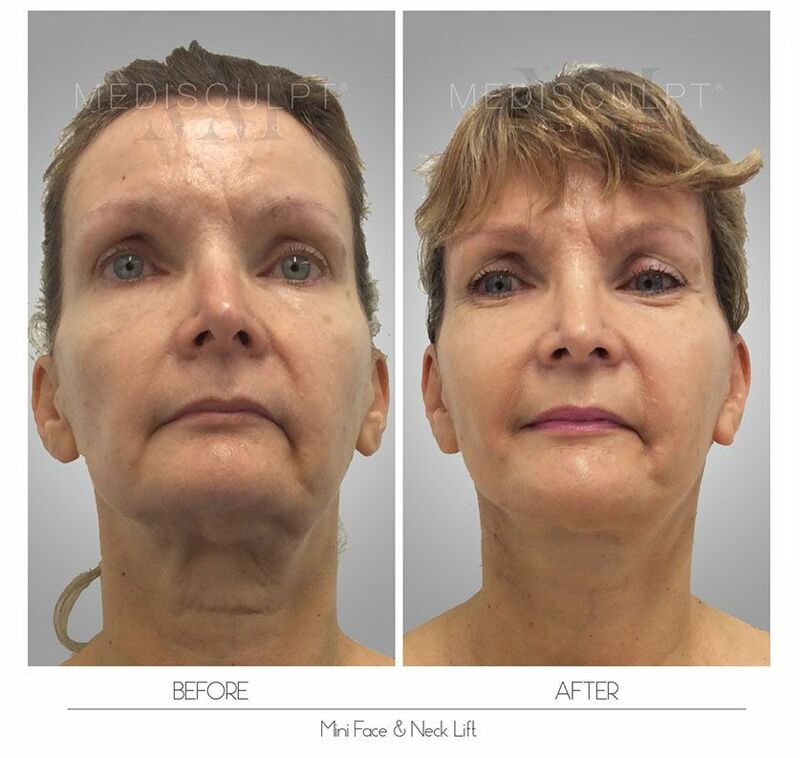 The benefit of the Mini Facelift is lesser tissue trauma. Risk of injury to facial neuro-vascular structures is highly unlikely, making the Mini Facelift safer than Deep-Plane Facelift. 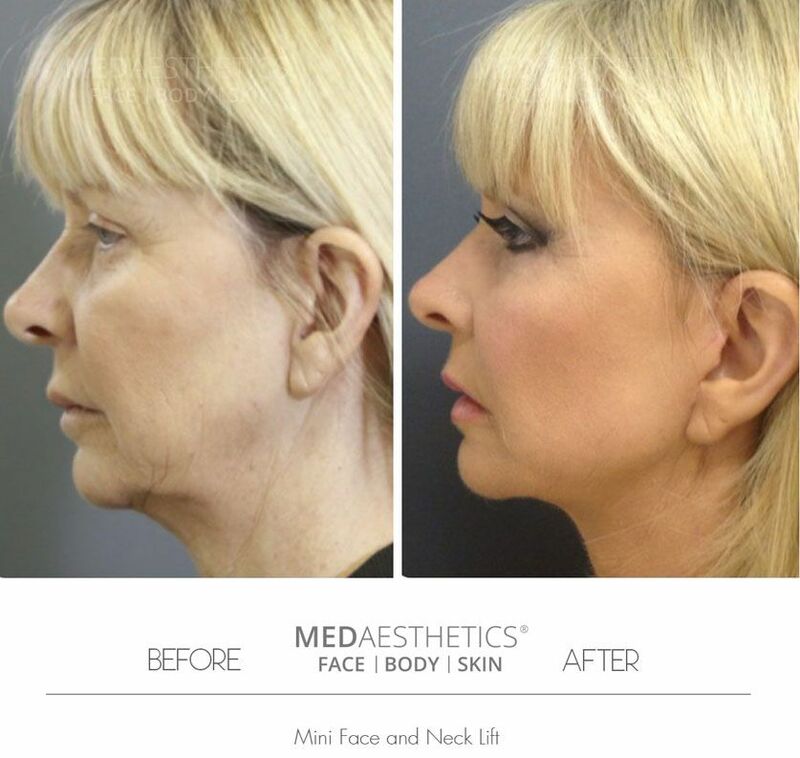 At Medisculpt™, the procedure is routinely performed under local anaesthesia as a day procedure in the chair. Our patients choose us because they do not want deep IV sedation or General Anesthesia. The incisions for a Mini Facelift begin in the temporal hair area and are extended downward in a natural crease in the skin, behind the tragus of the ear and then around the ear to the back of the earlobe. For patients with additional skin laxity, our doctors will sometimes extend the incision further upwards behind the ear to smoothen out the skin contours and restore a natural look. What is the duration of this procedure? On average, this procedure takes around 2 hours. Am I going to be conscious during the surgery? We routinely perform this procedure under safe doses of local anaesthesia while the patient is conscious. Our patients tolerate the whole experience of being awake during the surgery exceptionally well as there is little to no discomfort associated with this technique. What is the degree of pain associated with the procedure? Once the treatment area has been numbed, you will be unable to feel any pain. 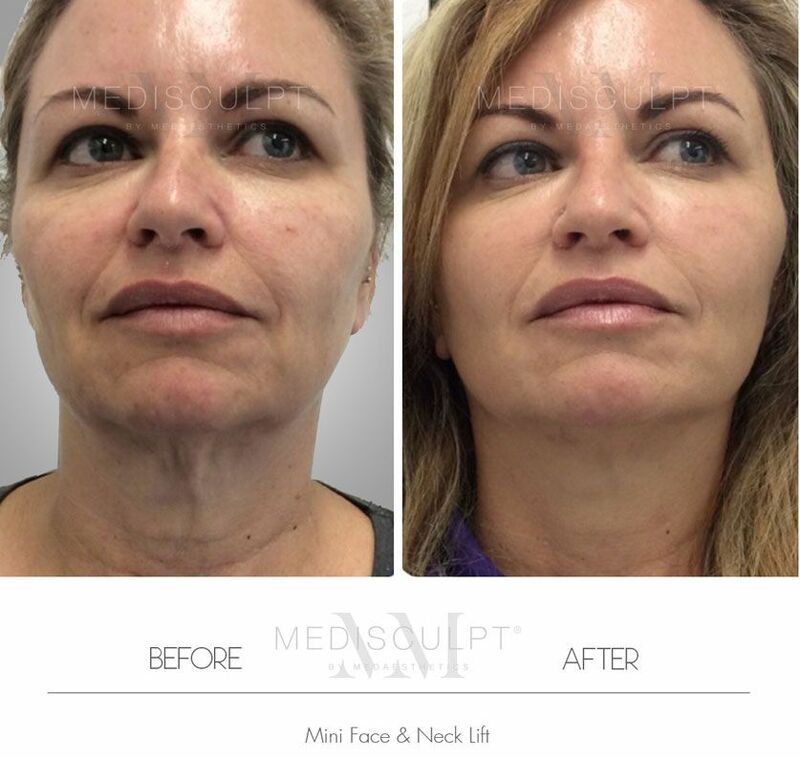 At Medisculpt™ we make every effort to ensure that every procedure we perform entails minimal pain or discomfort. What is recovery like following the surgery? Patients can go home straight after the surgery and do not require prolonged post-surgical hospital admission or monitoring. When a procedure is performed under local anesthesia, there are no residual side effects, which can often be associated with deep IV sedation or general anesthesia. Will there be a visible scar afterwards? The incision scars lie within the natural crease just in front of the ears and are barely noticeable once the sutures are removed. The hair in this area easily conceals them, and the scars begin to fade quickly within a few weeks. How much time off am I advised to take from work? Most patients can return to office-based work within 5 to 10 days. We recommend at least two weeks off if your work involves heavy physical activity, travelling or dealing directly with the public. A Medical Certificate can be organised, which will not mention the name of your procedure. When can I begin exercising again? Light activity is suitable after 72 hours, while light exercise is usually acceptable after two weeks provided recovery is going well. What are the potential risks and complications of this surgery? What are the potential risks and complications of General Anaesthesia (GA) and conscious sedation (Twilight Anaesthesia)? Short-term and long-term amnesia (memory loss) are some of the significant side effects. In any case, all surgical procedures carried out under General Anaesthesia or Twilight Sedation should only be performed in an accredited hospital under the supervision of a qualified anaesthetist. What are the risks of using Local Anaesthesia? Very high quantities of local anesthesia are known to cause systemic toxicity which can result in cardiovascular compromise. 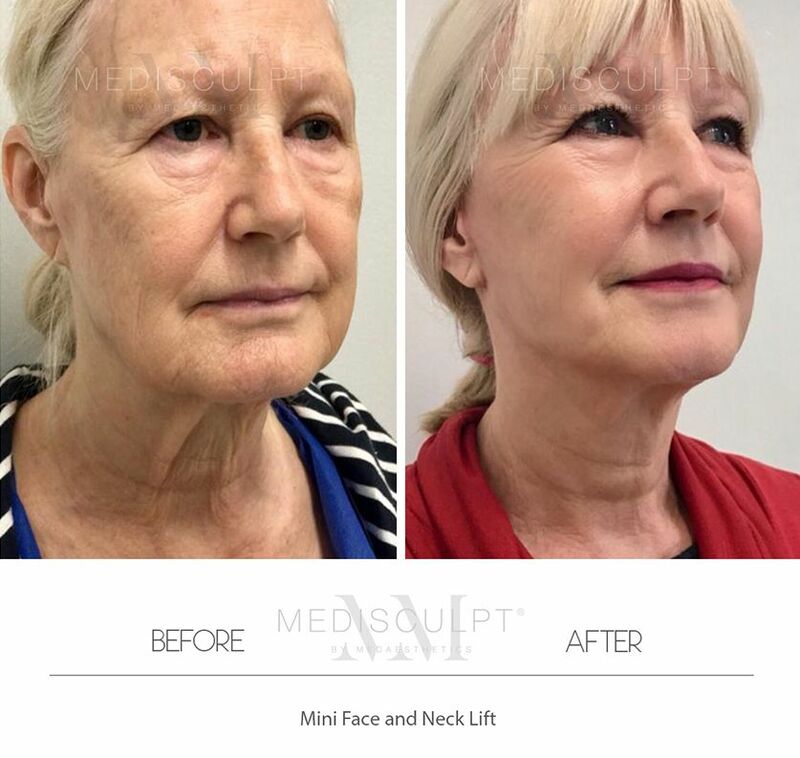 At Medisculpt, all procedures carried out under local anaesthesia are done using a minimal amount of local anaesthetic agent to ensure patient safety. How do I know if I am fit for this procedure? Who would be considered unsuitable for this procedure? I have booked my surgery; how should I prepare for it? We recommend that you do all your grocery shopping before surgery and restock your fridge and pantry with healthy food. We also recommend that you organise for someone to give you a lift back home as driving is not recommended for the first few days after the surgery. You should also consider arranging for a family member or friend to stay with you for the first few days after your surgery. Additionally, ensure that you avoid blood-thinning medication such as Nurofen, Aspirin, Heparin and Warfarin. Please discuss this with your General Practitioner in detail and make sure you are aware of any side effects of your current medication. Herbal medication and nutritional supplements such as St John’s Wart, garlic, ginger, ginseng, fish oil, and homeopathic or herbal tonics should also be ceased for at least two weeks before your surgery. These substances are known for their potential to thin blood and as such, may cause excessive bleeding during and after the surgery. What can I do to reduce any complications associated with this surgery? It is imperative that you follow the pre-surgical instructions given to you by our staff. Alcohol consumption and cigarette smoking are two primary culprits when it comes to increasing potential risks associated with any surgery. Please avoid these harmful agents for at least two weeks (or more) before your surgery. What can I do to improve my recovery? In clinical practice, we have found that a herbal substance called Arnica is helpful in reducing bleeding during or after the surgery. It also aids healing and minimises bruising. This naturally occurring herb is available in the form of oral supplements and is found in most health food stores and pharmacies in Australia. Above all, a healthy lifestyle, good sleep and a balanced nutritional diet after surgery are essential factors for optimum healing. What other procedures can be combined with this surgery? What is the cooling-off period and why is it necessary? A cooling-off period of 2 weeks is required after your initial consultation to give you ample time to thoroughly evaluate the risks and benefits of your chosen elective cosmetic surgery. 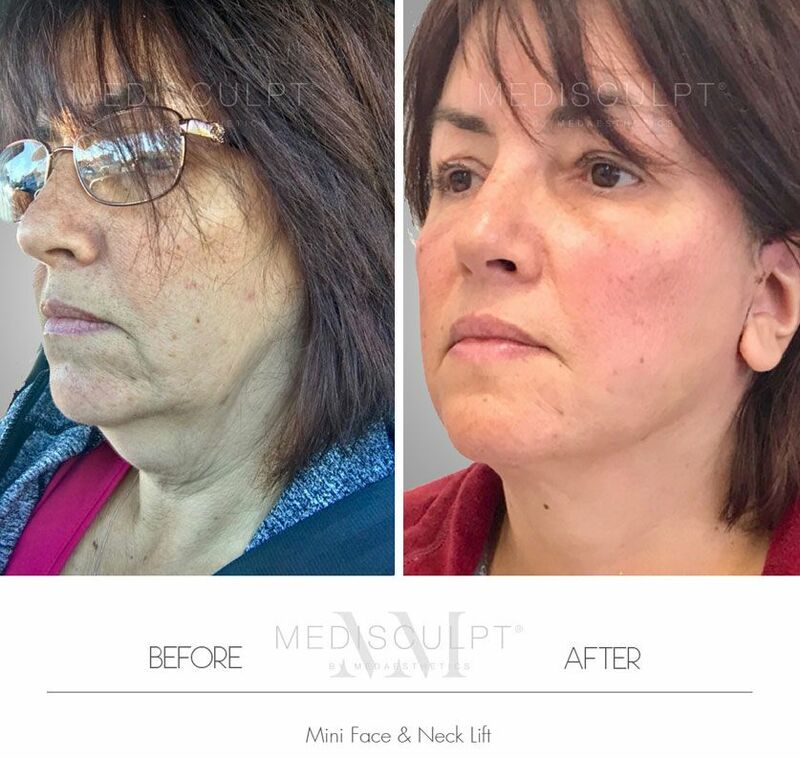 At Medisculpt™ we want all our patients to feel completely confident in making their decision. I am considering having my surgery done overseas as I cannot afford the costs here in Australia. Do I have any other options? Many Australians travel overseas for cosmetic surgery and dental work as the cost of having these procedures done in Australia are out of their budget. 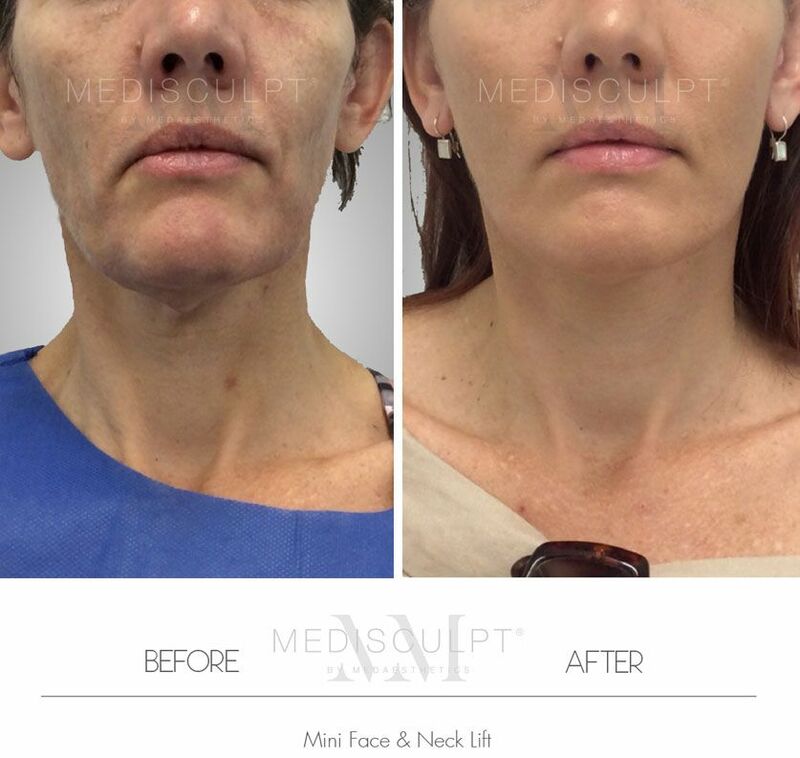 At Medisculpt™, we offer minimally invasive surgeries under local anaesthesia in safe doses. This means our patients don't have to pay high hospital and anaesthetist fees often associated with these surgeries. We also offer a free follow-up after each surgery which grants our patients with peace of mind. Simply put, many Australians can now have the privilege of having these surgeries here at home, with very competitive pricing and lesser risk than travelling overseas. What is the total cost of the surgery? Pricing starts from $8,000 with all costs inclusive. How do I book an appointment to discuss this procedure? 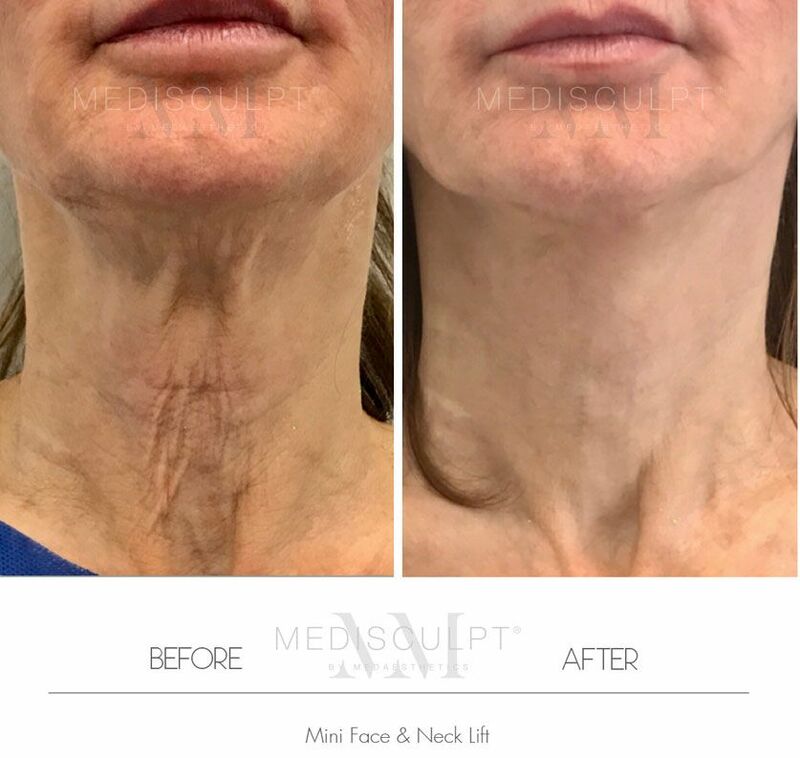 In order to book your obligation free appointment, please call us on (08) 9380 6438 or email us at admin@medisculpt.com.au. 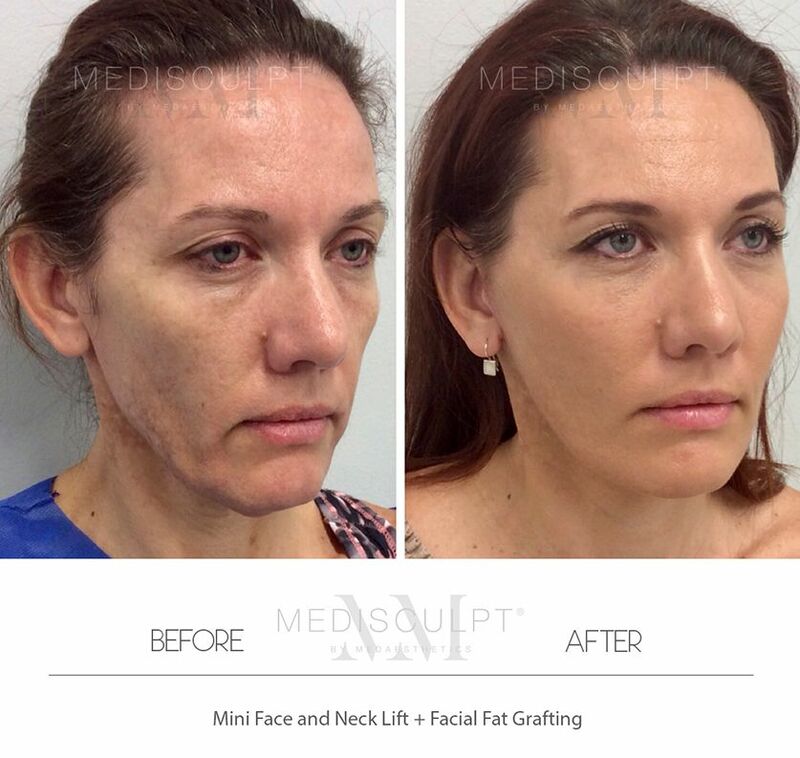 Please call us on (08) 9380 6438 or email us at admin@medisculpt.com.au. Every cosmetic procedure carries a risk. Before proceeding, you should seek a second opinion from an appropriately qualified health practitioner. 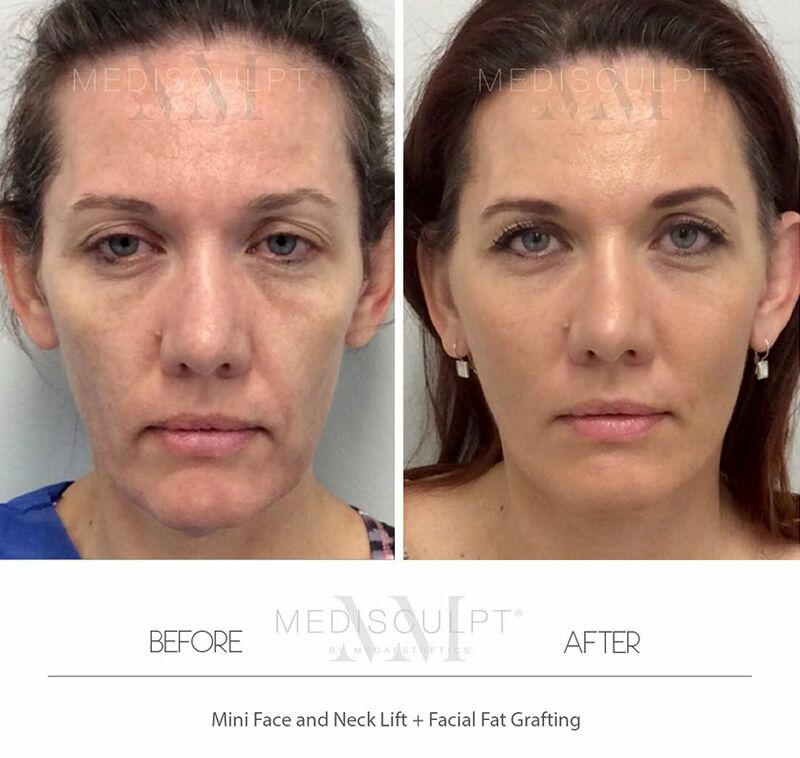 All images displayed on this website are the property of Medisculpt™. Formal consent has been obtained from the respective individuals whose images have been used. 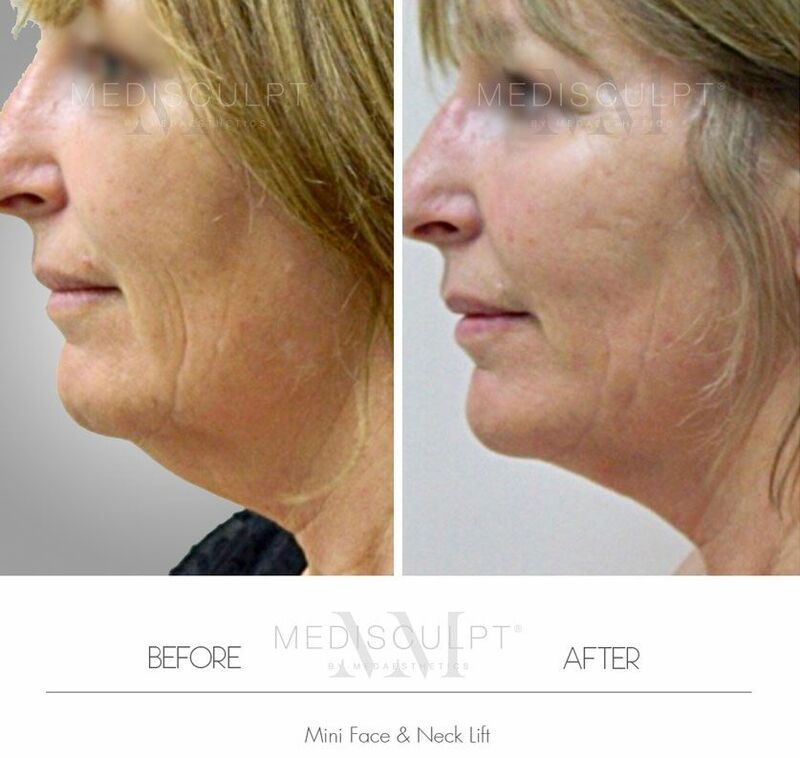 Before/After photos are of actual Medisculpt® patients and are for reference purpose only. Individual results may vary.